Lost Vape Orion DNA GO Pod System is the marvel of design and technology. This first DNA pod mod is one of the most dedicated artworks from the collaboration between Lost Vape and Evolv. Orion DNA GO, the world’s first pod mod equipped with highly sophisticated Evolv DNA Go Chipset. Lost Vape Orion 40W features an internal 950mAh rechargeable battery with a discreet micro USB port located at the bottom of the device. Managed by a responsive bottom adjustment button with corresponding LED lights, it has three standard power outputs - Low (White Light), Medium (Blue Light), and High (Red Light). An additional function is added to the device, Replay Functionality. 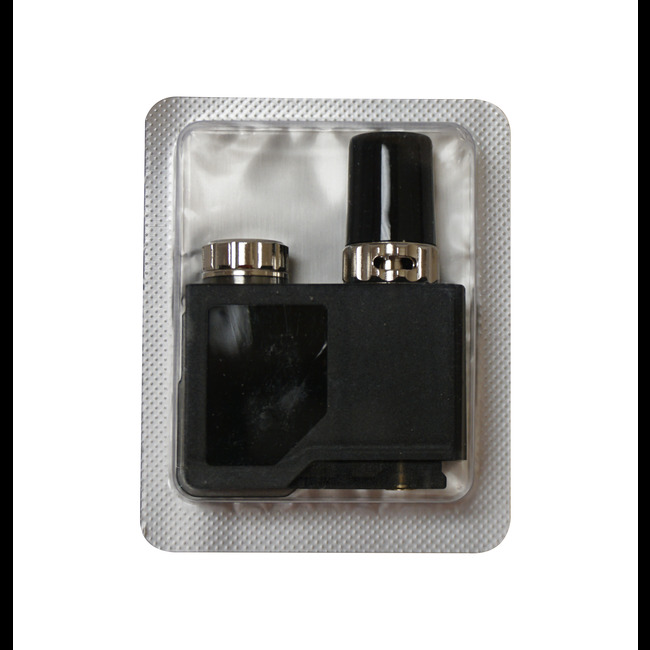 Replay is the most advanced vaping technology developed by Evolv. Replay is intended to capture the flavor and satisfaction of the ”perfect puff”, and provide the same level of performance and consistency on all subsequent puffs. Replay will also prevent the device from getting dry hits.